Bowel cancer, also called colon cancer is a condition where the cells present in your bowel multiply and then proceed to destroy the rest of the cells in your body. April is Bowel Cancer Awareness month, so test your knowledge about the disease. 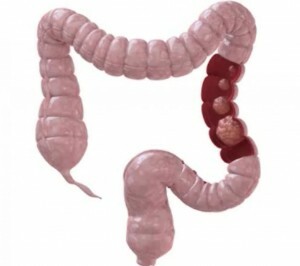 • Did you know that in UK alone, about 110 people are diagnosed with colorectal cancer? • Did you know that bowel cancer is the third fatal disease for men, preceded by prostrate and lung? • Bowel cancer is the second biggest cause for natural deaths in UK and the third in US. • Did you know that you have to go for screening right from when you are about 60 years of age? • However, you can take comfort in the fact that the number of people diagnosed with bowel cancer has remained stable for the past decade. The NHS (National Health Services) celebrates the Bowel Cancer Awareness month in April every year. The event is aimed to increase public awareness about the dangers in bowel awareness. It also encourages people to go for screening tests because the earlier the detection, the quicker and effective the treatment. If you are above the age of 60, then you can go for screening exam every two years and if you are above 50, you can go for it every three years. Every year in April, a special day is designated for the event where counselors come in and talk about bowel cancer and what precautions you can take to prevent the condition. In April 2013, the Bowel Cancer Awareness Day falls on April 18. Though bowel cancer can strike anyone, the most common victims of the disease fall in the age group of 50-75 and even older. Most of the time, the indication of this disease comes in the form of a polyp, which is actually some sort of growth in the walls of your colon. It can grow and eventually bleeding happens. The following are the symptoms of this disease; however, in certain cases, there are no symptoms at all. Studies have come up with the fact that family conditions and hereditary factors also contribute to colon cancer. If you have anyone in your family with colorectal cancer, then there is a chance that you will be developing it too. In fact, your chances are 2 to 3 times higher. If anyone in your family is known to have the Lynch syndrome, then you could develop colon cancer. Lynch syndrome is also called hereditary nonpolyposis colorectal cancer or HNPCC, a cancer of the entire digestive tract and its related organs. It is often inherited. • Make sure you do not go on a crash diet. Even if you are limiting the quantity of food for fear of obesity, you must have five servings of small portions of fruits and vegetables daily. Next story What Is Your Limit For Internet Browsing For Your Children?